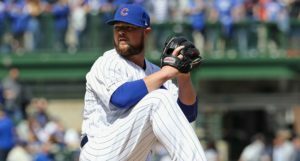 Despite my curiosity, I am happy to see that the Cubs were able to take advantage of yesterday’s rainout to skip Tyler Chatwood’s spot start in the rotation and reshuffle their starters for this series in Miami. The Marlins have a soft 88 wRC+ against left-handed pitchers this season and they’ll get two of them (Jose Quintana and Cole Hamels) over the next three days. Both guys also just happened to produce the Cubs best two starts of the year, so those are good matchups for the Cubs. The Cubs might also get another lefty, Mike Montgomery, back before the end of this series – he’s eligible to come off the injured list today, though it’s not clear that he will – which could further strengthen the bullpen. 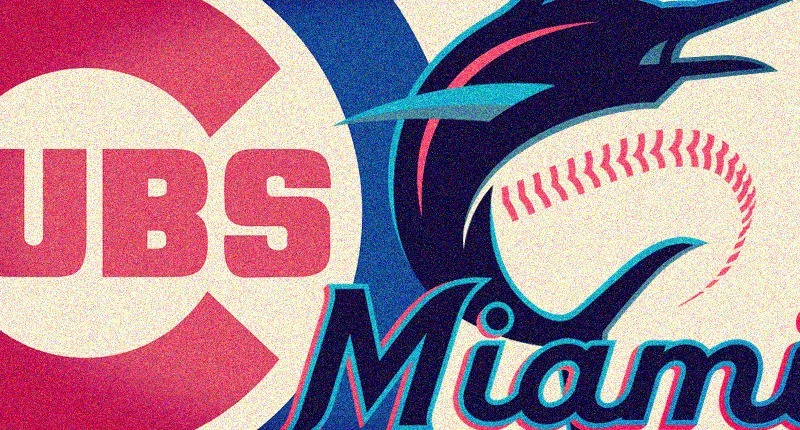 In any case, the Cubs need a series win (or better) as badly as any contending team in baseball right now, and the Marlins *should be* a gentle landing spot. Let’s see if they can take advantage. 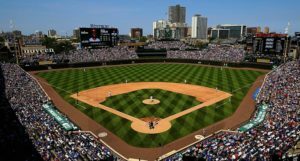 The Chicago Cubs (5-9) felt like they were building some momentum on Friday, but couldn’t complete the comeback on Saturday night and were washed out on Sunday. There have been some nicer performances out of the bullpen and rotation lately, but there just hasn’t been that “click” yet. The Miami Marlins (4-12) are off to an even slower start than the Cubs, with one fewer win and three more losses already this season. They have the unfortunate position as the weakest team in one of the toughest divisions, and are seemingly destined for a low win total this year. They have won just twice in their past 12 games. Cubs Pitcher: All eyes will be on Yu Darvish tonight, as he continues to inch closer and closer to delivering the sort of start of which we know he’s capable. He’s basically gotten a little better every time he’s gone out there, but Joe Maddon has shown a pretty quick hook early on. I think we’d all like to see Darvish work through a lengthy start, with plenty of success, before coming out of the game on his own terms. I don’t know if that’ll be tonight, but the Marlins lineup does not instill fear. 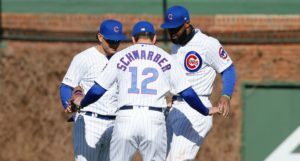 Cubs Player: Jason Heyward has five multi-hit games this season and walk rate (16.0%) twice as high as his strikeout rate (8.0%). Perhaps his best number, though, is 36.8% – his ground ball rate. For his career, Heyward has been much closer to 50%, and that’s basically been at the direct detriment to his power. But this season, he’s elevating the ball and hitting it with authority. If he’s ever going to return to the hitter he was before 2016, this is what it would have to look like. Hopefully he can keep it up. Marlins Pitcher: Sandy Alcantara (Wednesday’s starter) has had a really up-and-down season. In his first start of the year, he struck out six and walked none during 8.0 scoreless innings. But he followed that up with a 5-walk no strikeout 4.0 inning start in Atlanta and then split the difference with 2 walks, 6 strikeouts and 5.0 innings of 6-run baseball against the Phillies on the 12th. Clearly, you can get to Alcantara, but he’s also evidently capable of striking tons of batters out. Marlins Player: Starlin Castro has had a brutal start to the season (.215/.250/.323; 55 wRC+), but has been an above-average hitter in each of the last two years. There’s not a single non-Cub I root for more, so good luck getting back on track, Starlin. Maybe just start on Thursday. 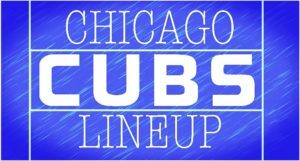 Next Post Next post:Chicago Cubs Lineup: Kris Bryant Heads to the Outfield, But Why?